Even more new features would join the already wide array of offerings at the much-anticipated 10th annual Rotary’s Carols by Candlelight which will be staged at the Quarantine Point Park on Sunday, 2 December from 4 pm. The much-loved Monica Benoit Christmas Wonderland of Lights – which stay lit until Christmas – is a staple of the event, along with the holiday bonfire for roasting S’mores; ‘Santa’ with gifts for children; specialty foods; a well-stocked holiday boutique for purchasing of gifts and a covered lounge with full drinks bar, wine bar, specialty drinks and fireworks. In addition to the above mentioned, Rotary has listened to the needs of the event patrons and added some conveniences that will make the event even more enjoyable. Some of these include fleece picnic blankets, park folding chairs and cooling wine bags, all available for purchase either in advance or at the event. Also available for purchase after the show are specially made picnic benches perfect for outdoors. The roving photographer will be at the event and at Santa’s Grotto to capture the special moments at the park, in addition to a photo booth where guests can have their photos taken with printed keepsake. This year is the 50th anniversary of Rotary in Grenada. The concert which showcases mainly Grenadian artists, will have a distinct Caribbean flavour, featuring parang singer Bindley B from Trinidad, the Presentation Boys Choir, as well as Christmas pops favourites featuring V’ghn, Jenny J, Jeverson Ramirez, Denison ‘Lion Paw’ Andrew with Conception Dance Theatre and many others. The show will be directed by award-winning producer Richardo Keens-Douglas on a grand stage constructed by Judah Sounds. 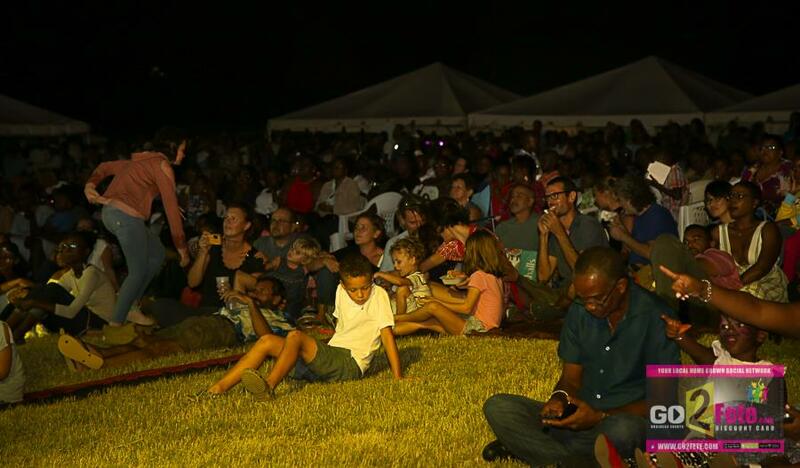 Special traffic arrangements are in place to accommodate motorists and there will be a park-and-ride system implemented at Morne Rouge for getting patrons to and from the event. Patrons are invited to follow the event page on Facebook ‘Carols by Candlelight 10’ for updates, to purchases tickets and prize giveaways in lead up to 2 December.